Geothermal heat pumps are the highest in efficiency and performance in the heating and cooling world today. It only makes sense to call a company you can trust for reliable experienced repair by NATE certified technicians. We are one of the top Bryant Factory Authorized Dealers in America. Why? 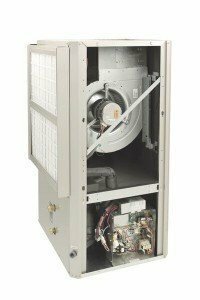 We offer service and replacement solutions for highly efficient heating and cooling equipment, such as geothermal or ground source heat pumps. With our experience comes expert knowledge. Whether your best interest is repair or replace, Bryant Lincoln provides the performance you need. We offer the service and equipment to ensure you have a long lasting solution. Our goal at Bryant Lincoln is to provide you with the best possible customer experience offering experienced and reliable service. When your geothermal system fails turn to the company Lincoln has trusted for over 60 years. Call Bryant Lincoln.